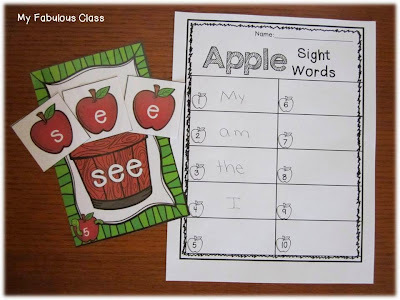 How do you teach sight words? Do you teach them in isolation, based on a reading program? Or do you tie it to the book? I do a little of both. I start by teaching the words I and am. The amazing Kindergarten teacher next door gave me this idea. In stead of traditional name tags, I always start the year with these name tags. 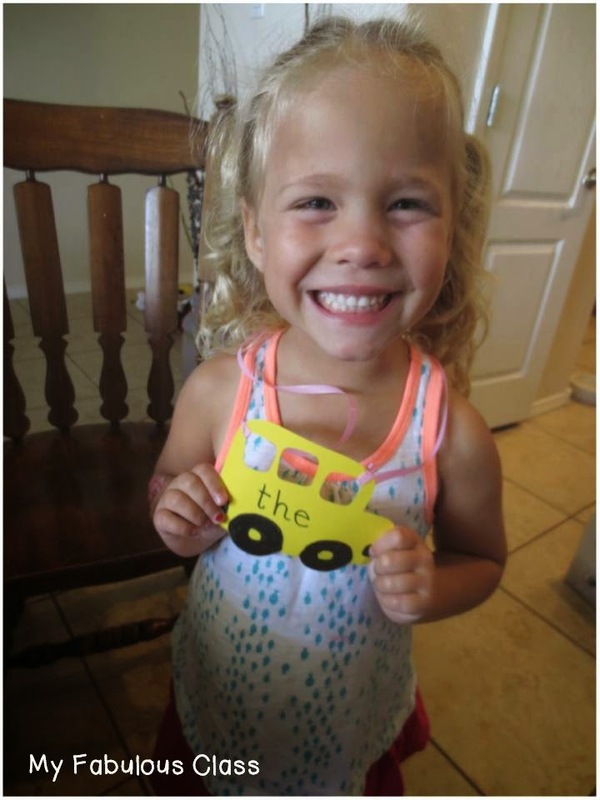 It helps kids to learn their name, two sight words, directionality, and one to one correspondence. 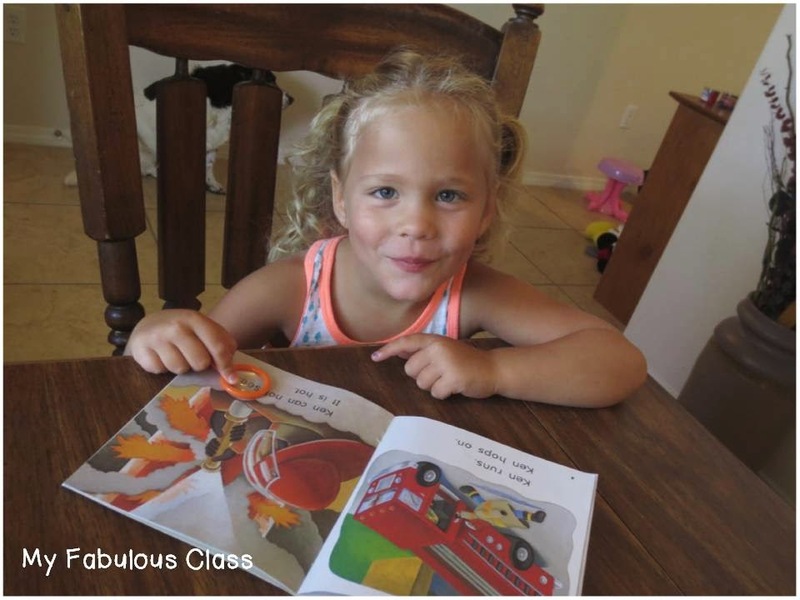 PERFECT for early literacy skills. After those two words, I do teach sight words in order based on our reading program BUT I also put a lot of focus on pulling words from the books the kids are reading. 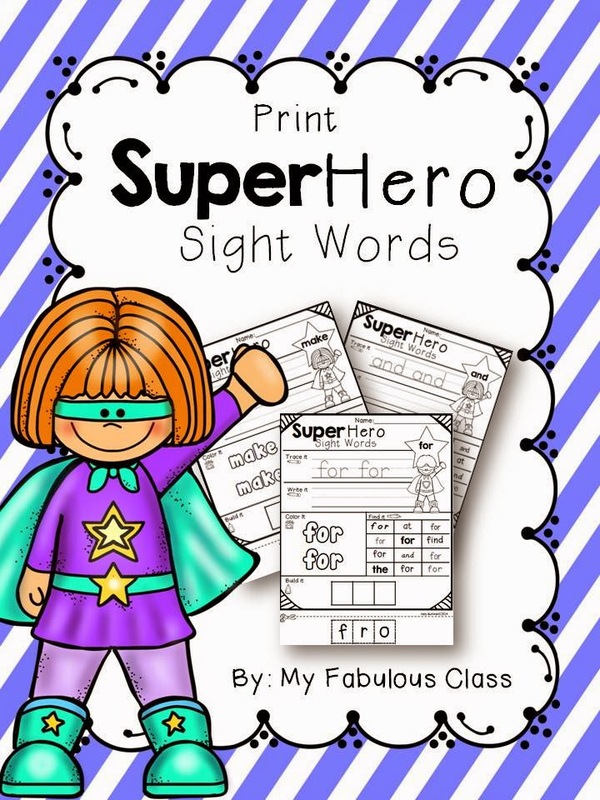 For the word of the week, I created these Super Hero Sight Word Worksheets. I am NOT a fan of worksheets. I do not believe in "busy" work. I honestly do not even do the typical morning work. I keep my kids engaged with hands on activities in the morning. I do, however, recognize that kids DO need to practice writing and cutting. 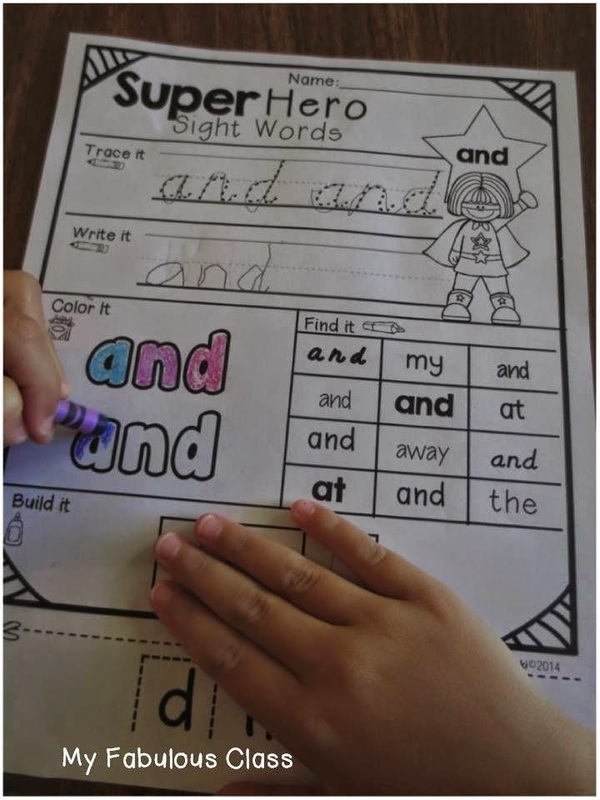 Worksheets do help to teach those skills. I typically place one worksheet at my word work center each week. I'm not going to lie, my kids love worksheets. They often do the new worksheet the first day I place it at the center. I used 55 words, including all of the pre-primer words, in this pack. You can click below to see a list of all of the words. I made on set in D'nealian and one set in Print. This is another idea from the teacher next door. On Wednesdays, our short days, she has the kids where a sight word badge. 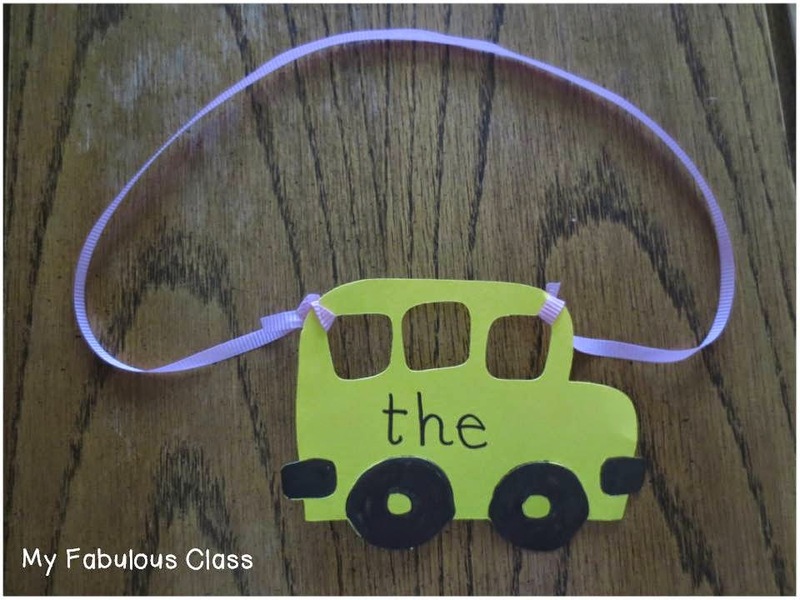 Throughout the day, adults and students ask the child to tell them the name of their word. In the beginning, all of the students have the same word, but as the year goes on, I start to differentiate, based on student needs. I made this with my Cricut and I change the die cut every few weeks, based on the season. This idea came from Orton Gillingham. They use red words, but my kids make rainbow words. I made little books with three blank lines on each page. 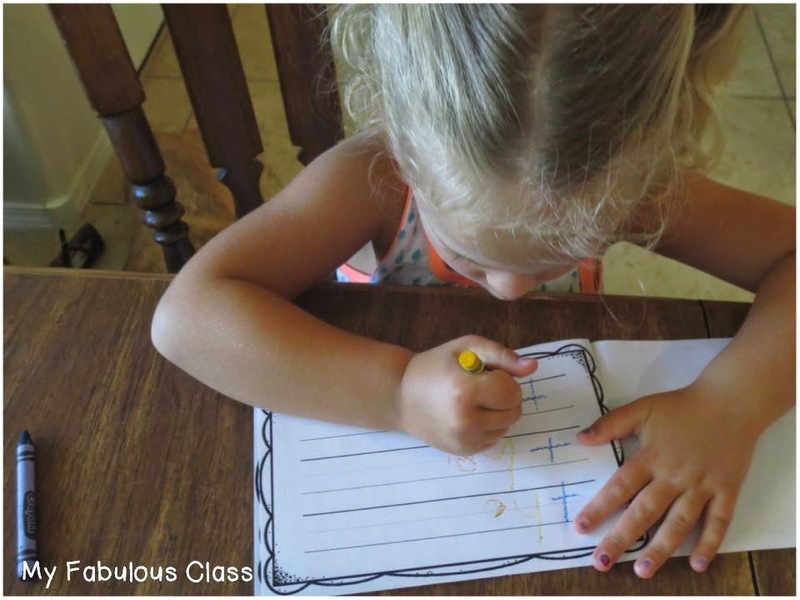 You place a plastic screen under the page so that when kids write, it is bumpy and textured. You can get the little book FREE HERE. Students also practice sight words during Word Work. I have started putting together packets dedicated just to Word Work and they include sight word practice. I will continue to create more activities for sight words. I also like to use videos to practice sight words. There are great DVDs and FREE YouTube resources. 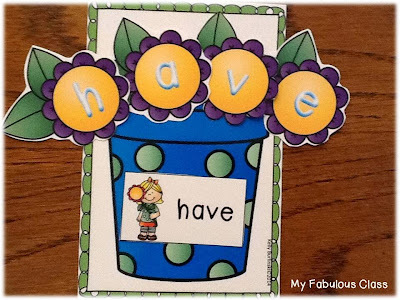 Have Fun Teaching has a LOT of FREE Sight Word Videos on YouTube. I also have two of Heidi's DVD's, Sing and Spell 1 and 2. I bought them on Amazon here. My kids LOVE these. You can find a few of her videos on YouTube, too. 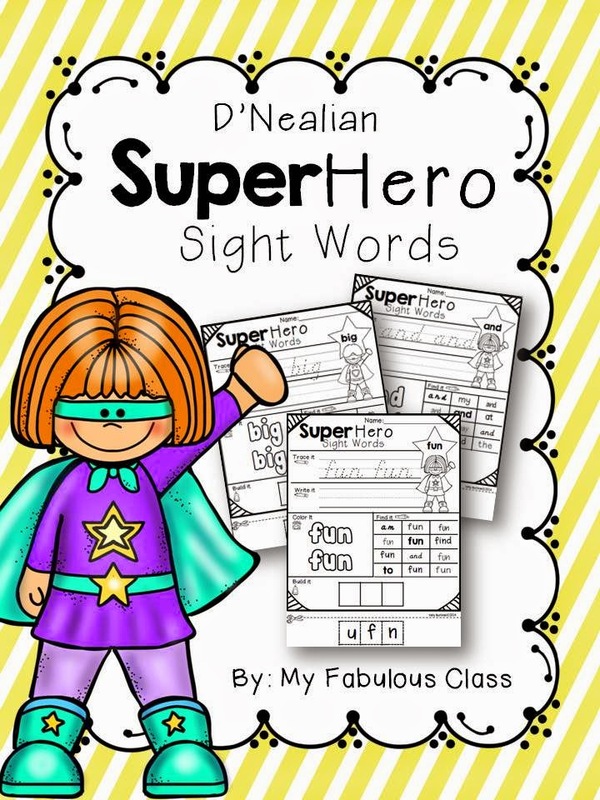 You can win a copy of one of my Super Hero Sights Words. Go to my Facebook page, make sure you like my page, and then comment on the Sight Word Hero picture AND tag a friend. Be sure to say if you want the D'nealian or Print. 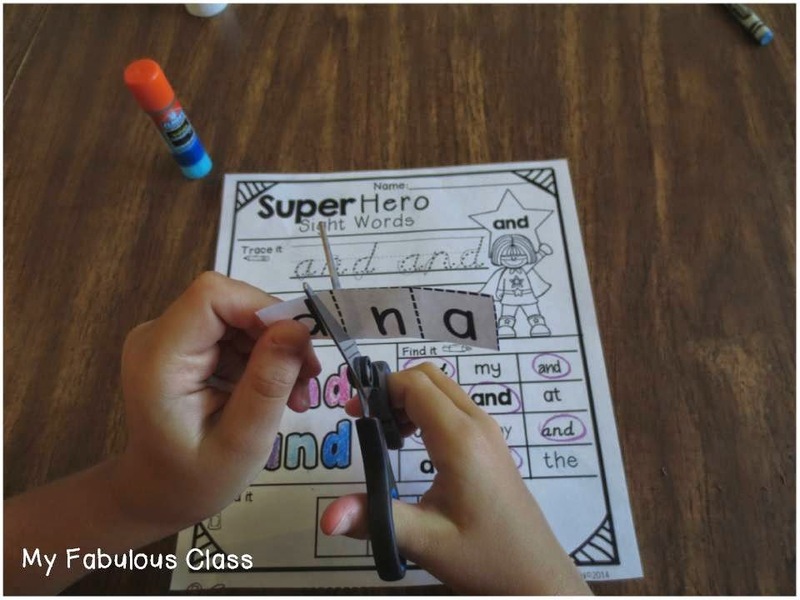 As I mentioned at the beginning of this post, I also teach sight words during reading groups based on the books we are reading. 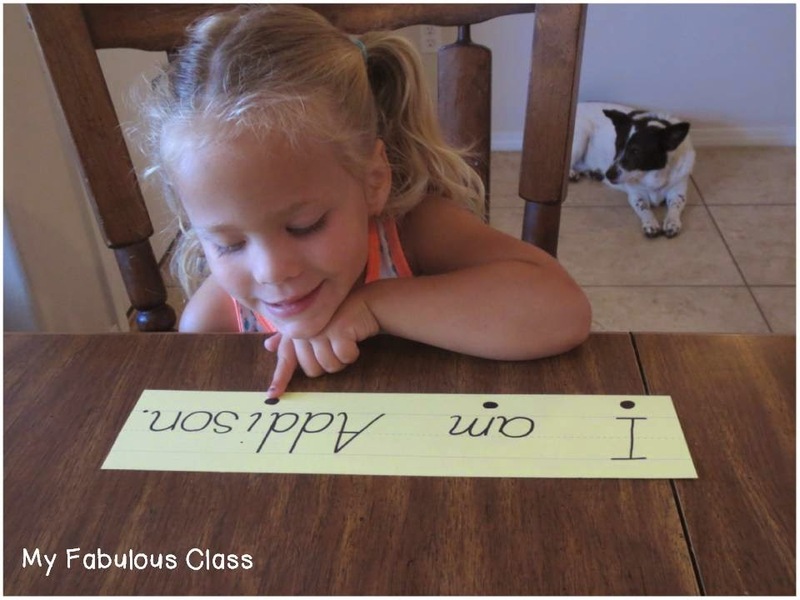 It is ESSENTIAL to attach sight words to reading and writing. 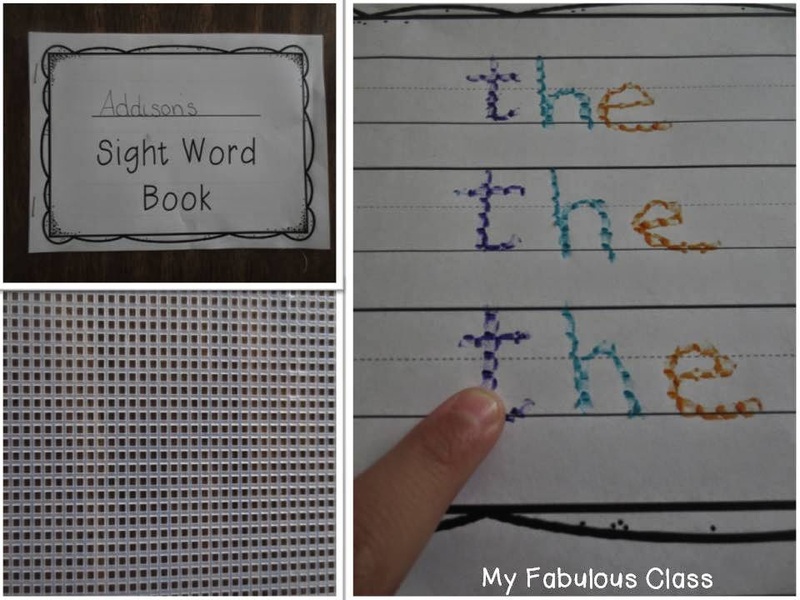 Tomorrow, I will share with you all how I work on sight words in small group.